How can you get the most for your converters with a process you can trust? At United Catalyst Corporation, we believe in the benefits of assay-based selling. Since no two converters are the same, and each converter must go through the same refining process, it makes sense to us that recyclers sell converters based on recovery of the metals. Still the recycler must choose a recycling partner and hold this company accountable to a truthful result and payment. 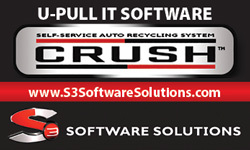 So how does a recycler choose a company to work with for their converter recycling program? 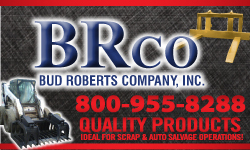 Here are five criteria that we think are important when choosing a reputable recycling partner. 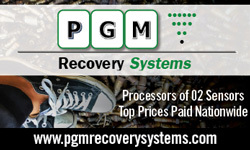 Does the company that you are working with provide you with a count before processing your converters? Does it include whole units, halves, aftermarket converters, wire/metallic/foil converters, diesel units, diesel particulate filters (DPFs), empty units? Does the whole unit count match the number you counted at your facility before shipping within a reasonable number? Also, you need to agree on how the material will be run. Most recycling companies will let you choose how you want your material combined. Ceramic converters, bead converters, diesel oxidation catalyst (DOCs), and aftermarkets can be processed and refined together from a technical perspective. Diesel particulate filters (DPFs) containing silicon carbide (SiC) should be held out and processed separately to avoid ruining the smelt. Wire/metallic/foil converters can be refined together if you have a large enough quantity to create a refining lot; otherwise, a price per pound is standard for domestic, import, or mixed material. Metallic units that are trimmed vs. untrimmed will have a different percentage of precious metal wash-coat or should carry a different price per pound since the steel has no precious metal value. Does the company that you are working with provide you with a weight report somewhere on the assay report or final invoice? The most important aspect of weights is making sure all the weight that should be accounted for is. The dust from de-canning and milling is most important since it contains the highest fraction of precious metals. Some material loss during processing is normal; one to three percent (1-3%) from inert material such as insulation, pieces of steel from de-canning, moisture, and some evaporation during milling. Weight loss greater than four percent (4%) should be questioned. What if you don’t know the gross weight from de-canning as compared to the net dry weight for settlement? If you cannot determine the weight loss during processing from the company you are working with, ask for an accounting. A one percent (1%) loss of weight could equate to a ten percent (10%) or more loss of value. Does the company that you are working with balance all the weights that arrive from your facility to all the weights post processing and refining? All the converters were likely packaged in Gaylord boxes on pallets and shrink-wrapped. Once the converters are de-canned, your converter recycling company should be able to account for all the arrival weight as catalyst, dust, packaging materials, and scrap. These items should add back up to your arrival weight within a very small tolerance, say one-half of one percent (0.5%). Once the catalyst and dust are milled and the sample is prepared, the company you are working with should be able to account for this weight within a very small tolerance as well. The weight of the milled catalyst and dust makes up the gross wet weight of your load. This weight minus any scrap discharge or small amount of evaporating during milling gives you the net wet weight of your load. Finally, when the moisture percentage from the sample is determined, it is subtracted from the net wet weight to give you the net dry or settlement weight. To reiterate from the section above, the standard loss during processing is typically one to three percent (1-3%). Does the company that you are working with collect an uncontaminated and representative sample of your material to be assayed? Apart from dust and weight loss during processing, a properly collected sample is paramount to you getting paid the right amount. The entire batch of de-canned catalyst and dust must be milled and free flowing into the sampling system and each particle must have an equal chance of being sampled. Typically, companies take a five to ten percent (5-10%) sample. This is generally too large of a weight and particle size for the lab and must be sampled representatively once again by taking another five to 10 percent (5-10%); therefore, roughly one percent (1%) ends up in the lab for analysis. The bulk of the milled material then goes on for smelting and refining while the sample is assayed, and the precious metal content is determined for payment. Does the company that you are working with pay you based on their sample and assay performed at their facility or the one collected and analyzed at the end refiner or with a third-party independent lab? The sample of record is the sample that is collected just before smelting at the smelting or refining company. Most important to you is that your recycling company be willing to share the official assay results with you for the basis of your payment. Does the company you are working with have reasonable and customary recycling costs and fair market pricing? 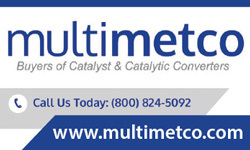 There are many different terms and contracts that can be offered for processing and refining catalytic converters. An expanded set of terms and conditions can include processing, treatment, refining, and financing charges with price market discounts depending on when you sell your metal. A condensed set of terms and conditions can be you being paid a percentage of the ounces contained in the assay (100%) or the contractual ounces paid from the assay for each metal, platinum, palladium, and rhodium (97%, 97%, 90%, for example). 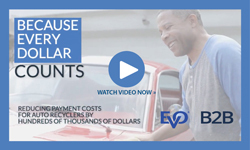 This type of contract implies that all the expanded charges are included in the percent that the recycling company keeps, and the rest is returned to you. Here it is important to distinguish the true, verified 100% contained and then determine that the charges and or percentage is customary and reasonable. This pertains to the metal market pricing as well. The earlier you sell the metal and take money before the catalyst becomes physical metal, the higher the discounted price as compared to the spot or physical price. The discount can also be higher based on the availability of each metal and the lease rate attached to it. 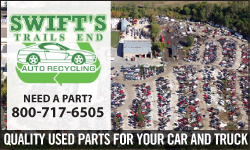 Choosing a company to recycle your scrap catalytic converters is no easy task. 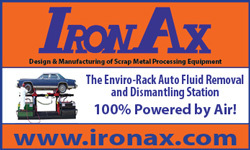 Working with a reputable company that can and will verify your count, verify your weights and balance them, verify the sample and assay is accurate, and charge you a reasonable amount to recycle converters is smart, profitable, and worth your time and energy.